If you are looking for information on the Virtuoso Music franchise business opportunity, Virtuoso Music franchises or Virtuoso Music franchising , then you have come to the right place. that promotes music education in your community? incredible potential in a growing industry? A Virtuoso Music® franchise may be the answer! Virtuoso Music provides music lessons and other music-related products and services at customers' homes, in schools, and at other locations; in addition to coordinating musical bookings, recitals, festivals, community events, and performances. Virtuoso Music offers private music instruction in most instruments and eliminates the frustration many students experience searching for qualified teachers. Our franchisees manage a team of independent music teachers to provide instruction to all types of students - young children, teens, and even adults. As a Virtuoso Music franchisee, you will benefit from our proven system of operation that enables you to confidently establish your own successful music education business, all while working from home! A music background is not required - our franchisees focus on marketing and growing their business with a team of instructors that teach the lessons. The Virtuoso Music business model capitalizes on the growing demand for quality music instruction, the void in full-service music education choices in the market, and the lack of business expertise that plagues the majority of music instructors. Busy families choose Virtuoso Music to provide reliable and qualified instructors who conduct classes where it is most convenient for the student, and a motivational environment to maximize the enjoyment and effectiveness of their studies. Our screening, billing, and event-planning systems allow our instructors to focus on doing what they do best, while Virtuoso Music takes care of the rest! Many people and businesses are currently involved in music education. Public and private schools, freelance teachers, music colleges, retail music establishments, churches and community centers are all among those in the business of teaching students to play instruments or to sing. Based on industry trends, it is apparent that the need for music instruction will continue to be strong well into the future. Interest in music continues to grow even while emphasis on arts education in public schools has dropped. This has further established the need for private businesses offering music instruction in a variety of venues. We have developed a comprehensive operating system that helps ensure our franchisees' success. From proven marketing programs to our proprietary client software and central database system, you will discover that Virtuoso Music has left nothing to chance. Our technology helps you manage most aspects of your business using the power of the Internet. The system was designed to be easy to use, yet highly effective in completing lesson scheduling and tracking, billing, CRM, and other critical business functions. Our franchise support system begins with comprehensive training at our corporate office and continues with hands-on assistance in your territory during your initial "grand opening" period. 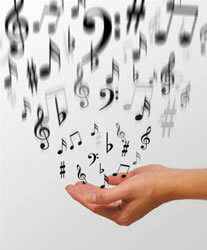 As part of our training, we teach you how to attract students and hire qualified music teachers to provide instruction. Our system is designed to permit franchisees to hit the ground running. On an ongoing basis, we advise our franchises in the areas of operations, advertising and marketing, accounting and bookkeeping systems, technology and data management, recruiting, and other important areas of the business.